Bieber and One Direction go head to head! Liam Hemsworth wanted to rescue a puppy this weekend and asked EX FIANCÈ Miley Cyrus to help him out. 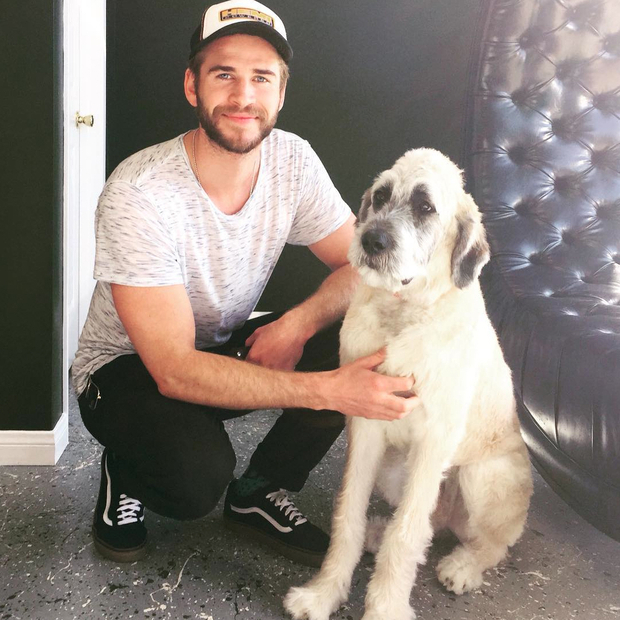 Theres an animal rescue organization in LA called Wylders Holistic pet center that shared a photo of the Hunger game star and his 6 month old puppy that he adopted Saturday. After the horrific terrorist attacks that occurred this weekend in Paris, Madonna was unable to hold back tears during her first concert of the Rebel Heart Tour following the event. While performing in Sweden on Saturday, the 57-year-old singer shared a moving message to the audience, asking them to have a moment of silence for the victims of the heartbreaking attacks. In the music world…I’m sure a lot of you heard about the huge albums dropped this weekend. The highly anticipated album “PURPOSE” was dropped by Justin Bieber November 13th after WEEKS of promoting it all over social media. Also, One Direction dropped their new album called “Made in the AM.” ON THE SAME DAY!! The albums are going head-to-head as they are competing for the top slot on the chart December 5th. i guess we will see who takes the lead! Wilfrid Laurier University paired up with HonkMobile! An app that provides a fast and convenient way to find and pay for parking — that will streamline parking for the Laurier community and visitors to Laurier’s Waterloo campus. Check it out! Have a great week Hawks. Stay happy, stay healthy, stay GOLDEN!